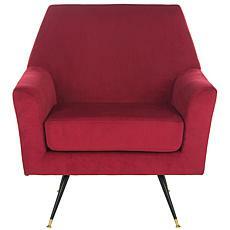 Make a bold statement with this retro mid-century sofa chair. 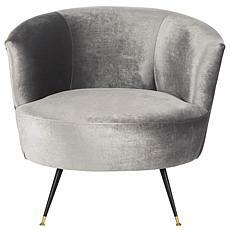 Its edgy geometric angles allow for a generous seat with maximum style. 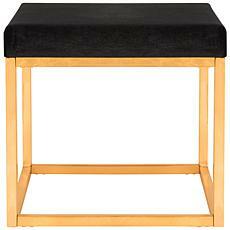 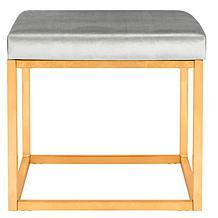 A designer favorite, its plush velvet upholstery and gold cap legs bring instant character to any modern space.